MELVILLE, NEW YORK, October 5, 2009 - FONAR Corporation (NASDAQ-FONR), The Inventor of MR Scanning™, today announced its financial results for the fiscal year ending June 30, 2009. Total net income for the fiscal year ended June 30, 2009, was $1.1 million, as compared to a net loss of $13.5 million for fiscal 2008. The net income per share (basic and diluted) for the fiscal year ended June 30, 2009 was $0.21, as compared to a net loss per share (basic and diluted) of $2.76 during fiscal 2008. Total revenues increased by 12% to $39.7 million for the fiscal year ended June 30, 2009 as compared to $35.6 million for fiscal 2008. 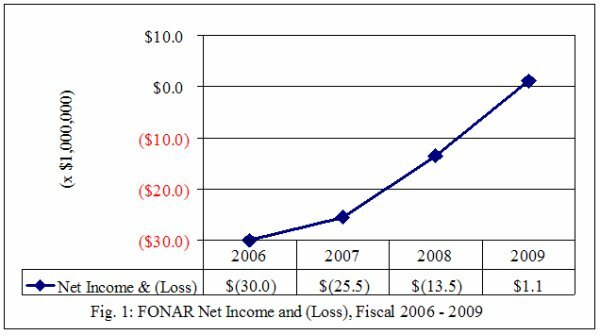 Revenues from product sales of the FONAR UPRIGHT® Multi-Position™ MRI scanners increased 48% from $11.2 million in the fiscal year ended June 30, 2008 to $16.6 million one year later at fiscal 2009. At June 30, 2009 there were 137 FONAR UPRIGHT® Multi-Position™ MRI scanners installed in the United States and around the world. Included in net income for the year ended June 30, 2009 is a pre-tax gain on the sale of a subsidiary of $1.4 million. At June 30, 2009, total assets were $28.4 million, total current assets were $18.3 million, total current liabilities were $29.1 million, and total long-term liabilities were $2.1 million. The backlog for MRI product was $25.7 million. Total cash and marketable securities were $1.2 million. “Unfortunately, the outcomes of spinal surgery are less than optimal, a fact underscored by the recent book titled ‘The Failed Spine,’published by Lippincott, Williams & Wilkins, (M. Szpalski and R. Gunzburg, Editors, 2005). The high failure rate has resulted in the acronym, FBSS, which stands for Failed Back Surgery Syndrome. The authors report that the ‘major identifiable causes of FBSS’ include ‘failure to identify the structural source(s) of pain correctly,’” stated Dr. Damadian. “Sadly, the distinguished Swedish spine surgeon, Alf Nachemson, MD, characterizes these unsatisfactory patient outcomes as the ‘high number of multiply operated surgical cripples,’ (Nachemson, A., The lumbar spine: An orthopaedic challenge. Spine, 1976:1, 59-71.). “Since the FONAR UPRIGHT® Multi-Position™ MRI can place the patient in the exact position that generates his or her symptoms, the MRI picture can be taken in that position. This unique capability assures that the degenerative spinal change responsible for the patient’s pain is correctly identified and operated on, instead of surgery being performed on another spinal change that is not responsible for the patient’s symptoms. Unfortunately, surgery on the wrong spinal segment can generate additional symptoms post-operatively, while the patient continues to suffer with the symptoms not addressed by surgery on the wrong segment,” remarked Dr. Damadian. “FONAR’s position in medical imaging is immeasurably enhanced by the fact that FONAR is the leader in UPRIGHT® Multi-Position™ MRI technology,” concluded Dr. Damadian. On November 17, 2008, The Company held its annual shareholder meeting for the combined fiscal years ending June 30, 2009 and 2008. All proposals before the shareholders passed. In February 2009, Dr. Damadian was the recipient of the 2009 AIMBE Honorary Fellow Award (American Institute for Medical and Biological Engineering) for his discovery of MRI. Dr. Damadian is the originator of the concept of magnetic resonance (MR) scanning of the human body (1969). The AIMBE Award was presented at the annual meeting of AIMBE, held February 11-13 in Washington, D.C. The award says: “In 1970, Raymond Damadian, M.D., made the discovery that is the basis for magnetic resonance (MR) scanning that there is a marked difference in relaxation times between normal and abnormal tissues of the same type, as well as between different types of normal tissues. This seminal discovery, which remains the basis for the making of every MRI image ever produced, is the foundation of the MRI industry. Dr. Damadian published his discovery in his milestone 1971 paper in the journal Science (Science 171:1151, 1971) and filed the pioneer patent for the practical use of his discovery in 1972.” (www.fonar.com/news/022409.htm). During the past fiscal year, FONAR also expanded its global reach with a sale in Libya, marking the first sale of an UPRIGHT® MRI in Africa and additional sales in the Middle East. This past June, Dr. Damadian attended grand openings for three UPRIGHT® Multi-Position™ MRI customers who spanned the world. First he attended a grand opening in Kamloops, Canada, for the installation of the first UPRIGHT® Multi-Position™ MRI in Canada. Then he participated in a grand opening in South Dakota. Finally, Dr. Damadian attended a grand opening in Munich, Germany. All of these ceremonies featured Dr. Damadian as the inventor of the MRI.